In last year’s Stratechery Year in Review I noted that the predominant theme was the impact of tech on society; perhaps unsurprisingly, the dominant theme in 2018 was tech and regulation. This year I wrote 139 Daily Updates (including tomorrow) and 40 Weekly Articles, and, as per tradition, today I summarize the most popular and most important posts of the year; the question of regulating tech generally and Facebook’s foibles specifically figure prominently. Frankly, I plan on making an effort to spend more time elsewhere next year. Here is the 2018 list. 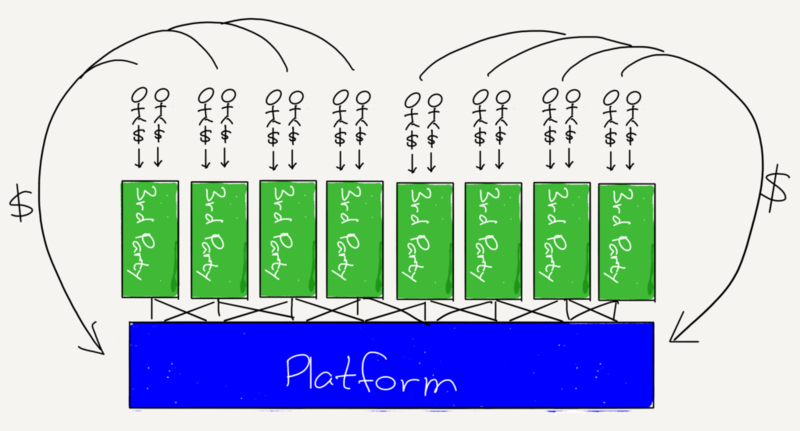 Stratechery once again had record traffic in 2018, and although none of the articles matched the juggernaut that was 2017’s Amazon’s New Customer, the first two articles on this list were the second and third-most popular articles all-time. The End of Windows — The Windows division no longer exists at Microsoft, marking the end to a four-year process of changing Microsoft’s culture. 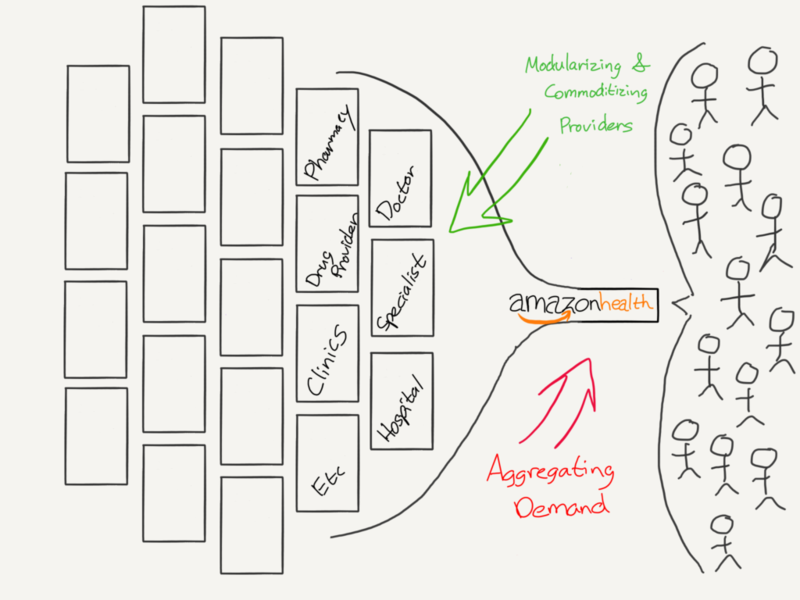 Amazon Health — Amazon Health doesn’t seem like much now, but there are hints it could be the ultimate application of Aggregation Theory. Lessons From Spotify — Spotify has a marginal cost problem, but while the cause is unique to Spotify, the challenges are more applicable than it seems. 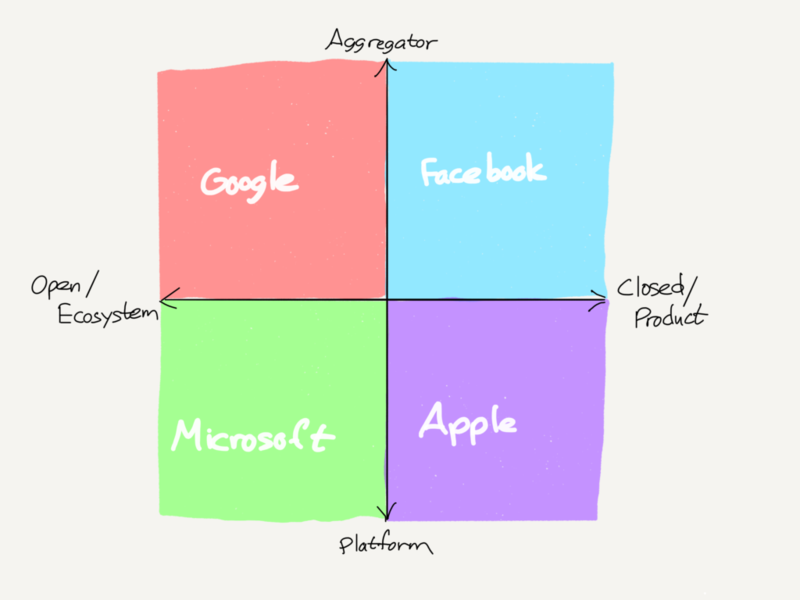 The Bill Gates Line — Understanding the differences between aggregators and platforms matters both for companies interacting with them and regulators considering antitrust. Amazon Go and the Future — Amazon Go exemplifies how Amazon is building its monopoly in three ways: horizontally, vertically, and financially. Plus, why automation is worth being optimistic about. I am very pleased at the way I fleshed out Aggregation Theory this year, both in theoretical terms and also in its importance when it comes to thinking about regulation. Zillow, Aggregation, and Integration explores why owning the customer relationship isn’t enough: an Aggregator also needs a way to transform a value chain. See also the afore-linked Lessons From Spotify. 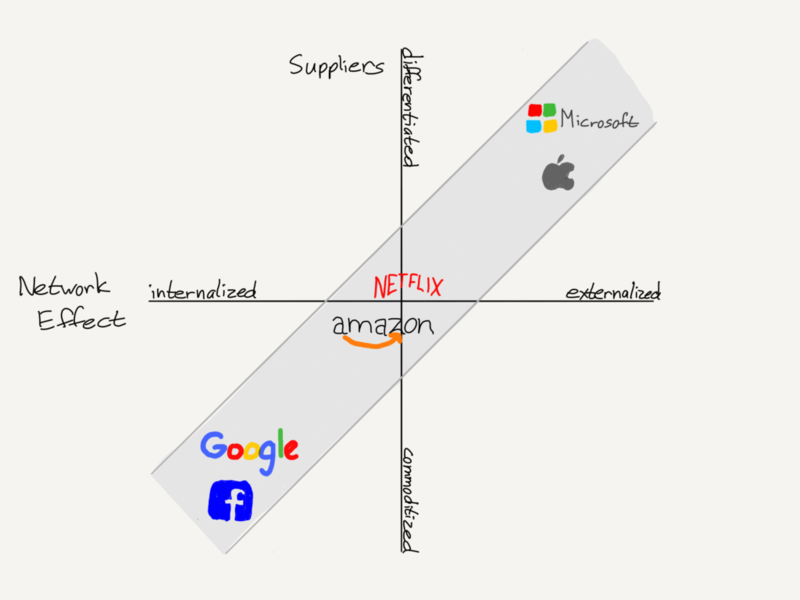 Tech’s Two Philosophies, The Moat Map, and the afore-linked The Bill Gates Line explore the differences between platforms and Aggregators: the former facilitates a connection between suppliers and users, while the latter intermediates it. This distinction is critical for regulators. 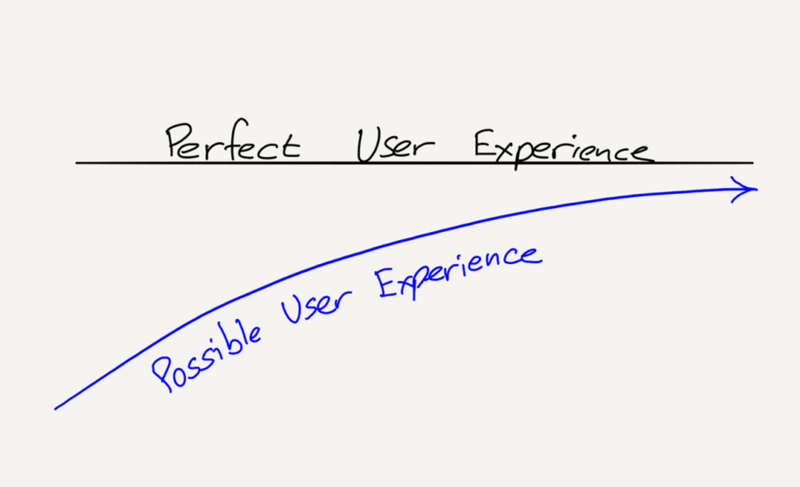 Aggregators and Jobs-to-be-Done filled in a missing piece of Aggregation Theory: when I say that Aggregators win by having the best user experience, that means they are the best and most all-encompassing option to get a job done. There were three broad subcategories when it came to tech and regulation: the tendency of regulation to entrench incumbents, antitrust, and Facebook. Lots and lots of Facebook. Open, Closed, and Privacy — Just as encryption is only viable on closed systems, so it is that increased privacy regulations will only entrench walled gardens. That should affect thinking on regulation. The European Union Versus the Internet — The EU is back to regulating tech companies, and getting the Internet wrong in the process. That, though, helps illuminate an approach that could work. 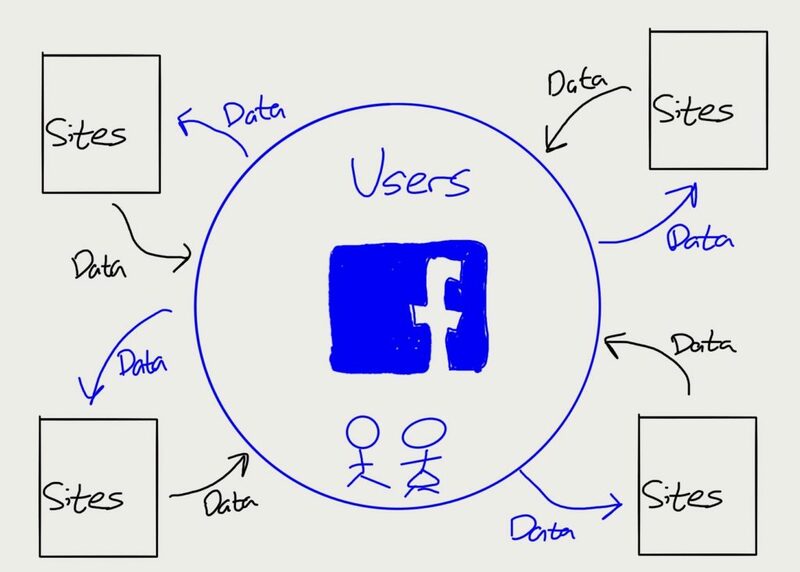 Data Factories — Facebook and Google and other advertising businesses are data factories, and regulation will be most effective if it lets users look inside. The European Commission Versus Android — Examining the history of Android explains why the European Commission may be right to fine Google for its actions around Android, even as the reasoning feels off. Antitrust, the App Store, and Apple — Apple’s case before the Supreme Court is about standing; Apple has a strong case. That, though, doesn’t mean the App Store isn’t a monopoly — and that Apple isn’t increasingly predicated on rent-seeking. The State of Technology at the End of 2018 — The State of Technology, at least in the enterprise space, is strong; consumer tech is another story, and it is time to question the dominance of big companies like Google. Facebook’s Motivations — The impact of Facebook’s News Feed changes on the media is far less interesting than what the changes — and their stated purpose — say about Facebook itself. The Facebook Brand — The Facebook brand is, due to Facebook’s strategic choices, about not respecting privacy. That is why the Cambridge Analytica story is such a problem for the company. There was more coverage of Facebook’s many scandals in The Daily Update, including Facebook’s Platform Folly in March, The Bosworth Memo in April, Sheryl Sandberg in Congress and Mark Zuckerberg in the New Yorker in September, and The Facebook Emails this month. This year several companies from the first generation of tech had their day in the sun, in many cases because of acquisitions. The Cost of Developers — Microsoft paid a lot for GitHub, because it had to pay directly for access to developers. It doesn’t have the leverage of users the way that Apple does on the App Store. 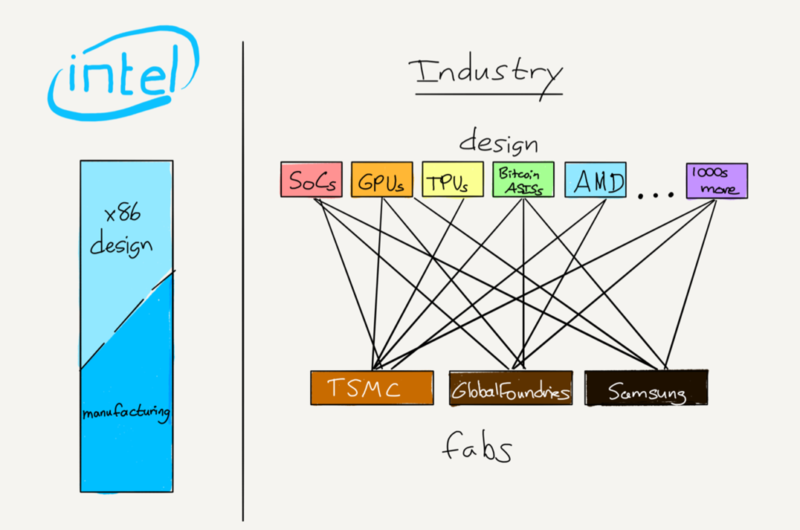 Intel and the Danger of Integration — Intel is in an increasingly bad position in part because it has been captive to its integrated model. Or, you could simply say they were disrupted. IBM’s Old Playbook — IBM has bought Red Hat in an attempt to recreate its success in the 90s; it’s not clear, though, that the company or the market is the same. The Experience Economy — SAP’s acquisition of Qualtrics shows how the shift in technology has changed business; it is a perfect example of using the Internet to one’s advantage. Apple’s Middle Age — For Apple, hitting middle age means a strategy primarily focused on monetizing its existing customers. It makes sense, but one wonders what happens next (See also, The iPhone Franchise and Apple’s Social Network). 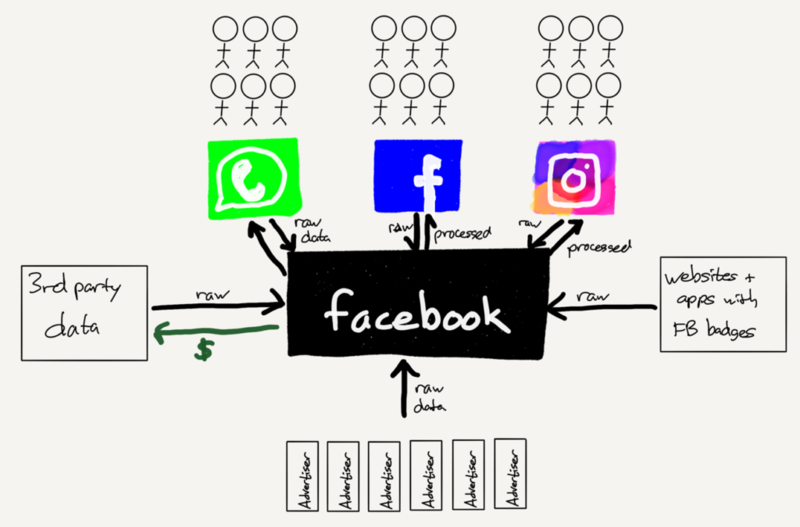 There was still room for Stratechery staples: analysis of industries and companies in the context of the bigger picture. Meltdown, Spectre, and the State of Technology — Meltdown and especially Spectre are vexing vulnerabilities, precisely because processors are working as designed. All we can do is muddle through. Divine Discontent: Disruption’s Antidote — Apple has long defeated disruption by focusing on the user experience; Jeff Bezos and Amazon, though, show that user expectations for their experience are ever-changing. The evolution in transportation was a major topic on Stratechery: see The Scooter Economy, Uber’s Bundles, and the afore-linked Aggregators and Jobs-to-be-Done. Drake on Twitch, Fortnite vs PUBG and Selling Feelings, The Returns to the Best — Drake was playing video games on Twitch, and it blew up: there is so much to unpack about games, new business models, Twitch, and asymmetrical returns on the Internet. Salesforce Acquires Mulesoft, The Enterprise Cloud Opportunity, Salesforce’s Opportunity — Salesforce is acquiring Mulesoft. While the price seems high, there is a unique opportunity to be the integration layer in enterprise software. Netflix’s Earnings and the Video Value Chain, The Conditions of Aggregation, Comcast and Netflix and the New Bundle — Netflix’s earnings are a reminder of the power that comes from not just aggregation but also integration. It also reveals that Aggregators are more likely to gain economic power when suppliers are already modularized. Plus, Netflix and Comcast start to build the new bundle. South Dakota v. Wayfair, and Amazon; Wayfair’s Unintended Consequences; Ohio v. American Express, and Tech — Two Supreme Court decisions have an impact on tech: first, states can collect sales taxes on e-commerce, and second, the burden of proof for antitrust just got higher. Another Congressional Hearing, The Genesis of Section 230, The Battle over Section 230 — Section 230, which shields Internet companies from liability, is getting more attention: the only attention it should get is as a model for other regulations. MoviePass, Finally; Value Chains and Unit Costs; Atlassian and Slack — Finally, the MoviePass breakdown so many have been asking for; then, another story to catch-up on, about Atlassian, Slack, and leadership. Microsoft Ignite, Weaknesses To Strengths, Amazon’s Device Announcements — Microsoft’s Ignite conference was another reminder that the company no longer focuses on the consumer, a point Satya Nadella emphasized as a strength. Then, Amazon helps explain why. The Snap Memo, Snapchat’s Core Problem, Snap’s Bad Positioning — Evan Spiegel wrote a long memo to Snapchat that laid out the company’s problems perhaps more starkly than he appreciated. Google Cloud Changes CEOs, Layers of Surprise (or Not), The VMWare Analogy — Google Cloud has a new CEO: the news is a surprise at first glance, but may make more sense than it seems. To understand why, look at VMWare, outgoing Google Cloud CEO Diane Greene’s most famous startup. Distinguishing Regulation, Is the Internet Different?, Reasons for Skepticism — Follow-up on The State of Technology in 2018: the different types of regulation, whether or not the Internet is different, and why consumer tech companies may be weaker than they seem. I can’t say it enough: I am so grateful to Stratechery’s readers and especially subscribers for making all of these posts possible. I wish all of you a Merry Christmas and Happy New Year, and I’m looking forward to a great 2019!